GigaOM, a leading business media company, today announced that the first annual GigaOM Net:Work 2010 conference will take place December 9, 2010 in San Francisco. This inaugural event is the only conference to focus on how broadband and mobile technologies are shaping the future of work fundamentally changing the way companies run their businesses and how employees collaborate. Leading speakers include top executives from Cisco, Polycom, Jive Software, Google, LiveOps, NetSuite, Elance, oDesk, and many more. Technologies like broadband wireless, mobile email, Skype, web videoconferencing, corporate wikis, virtual private networks, cloud computing, and other web-enabled corporate collaboration tools have transformed the way people work impacting not just how, and where, employees spend their days, but altering the entire culture of work and management, said Matthew Ingram, chair of Net:Work and GigaOM editor. Ten years ago, working from an airport, a coffeeshop, or home was unimaginable, both technically and culturally. Today, the human cloud is a 24×7 global workforce powered and connected by cloud, social, and mobile technologies. Net:Work will take place December 9, 2010 at the Mission Bay Conference Center in San Francisco. The one-day event will gather GigaOM editors and research analysts alongside leading CEOs, CIOs, entrepreneurs, investors, and journalists to debate the technologies impacting enterprise collaboration, HR and recruitment, remote working, operational and office design, training and retention, and other critical aspects to running a business in the networked age. Net:Work speakers and attendees will engage in a lively debate about how technology is rapidly changing the world of enterprise collaboration, and discuss ways companies can harness these innovations to become more productive and profitable. Top tier speakers include Rebecca Jacoby, CIO of Cisco; Andy Miller, CEO of Polycom; Dave Hersh, Founder of Jive Software; Bradley Horowitz, VP of Product Management at Google; Maynard Webb, Chairman and CEO of LiveOps; Zach Nelson, President and CEO of NetSuite; Fabio Rosati, president and CEO of Elance; Gary Swart, CEO of oDesk; and many others. Speakers will share case studies and lessons learned, and invite participants to engage in an open dialogue about the most important challenges to creating a modern business infrastructure. This entry was posted in Which Open Source Blog and tagged Announces, Annual, Cloud, Conference., First, GigaOM, Human, Network on June 30, 2012 by Administrator. Chameleon is a stunning responsive coming soon template. Setup – The setup of this template is very simple. All you need is your logo, an email address, the rest looks after its self. Responsive Layout – No matter the platform your user visits this template on, it will adapt perfectly. Try resizing the browser, you’ll see. Notification Form – Email subscriptions are handled by a php file that emails you (the admin) and the user who has subscribed to inform them of the success of the subscription. The message sent to the subscriber is fully customizable as is the email that is sent to you. All you need is an email address. Form Validation – The php file that handles the notification form also handles its validation. It can redirect to a success and an error page if you wish it to do so. Countdown – Instructions in the documentation will explain how to change the date you want to count down to. This entry was posted in Which Open Source Blog on June 30, 2012 by Administrator. With thousands of admin sites around the world typically sharing a dull and boring interface, Admin Theme sets to change this with their newly launched theme. The importance of admin sites are typically overlooked when it comes to delivering a site to a client, yet it’s often the area in which clients and website owners spend the most time in. It literally takes minutes to implement Admin Theme on an existing admin site while the result leaves a lasting impression on clients. Admin Theme can be used to theme any existing admin site – from WordPress, Drupal and Joomla admin panels to custom ASP.NET and PHP admin sites. Feedback during the beta phase of the theme’s development has been very positive, with clients praising the aesthetics and sleekness of the theme, to others commenting on better productivity in day to day use as a result of the increased usability that the theme offers. Admin Theme is available for $ 29.99, and includes a fully customizable HTML and PSD template. 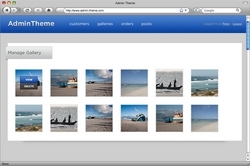 For more information, go to http://www.admin-theme.com. This entry was posted in Which Open Source Blog and tagged Admin, Designers, Developers, Theme on June 30, 2012 by Administrator. After following a rapidly increasing popularity since June 2010, SEOPressor has now reached the enviable position of one of the most top-ranking plugins for WordPress pages. September analyses on the popularity of this WordPress plugin show that more than 15 million pages of this popular blogging platform have SEOPressor on it. Daniel Tan, the developer of the product, is currently basking in the glory of the numerous awards SEOPressor has received, with talks about it being voted as a compulsory plugin for WordPress powered sites. What SEOPressor basically does is to help WordPress websites with search engine optimization. It helps basically in keyword optimization, i.e. in finding the right keywords that should be used on webpages in order to enhance their ranking on popular search engines such as Google. The plugin suggests various optimizations to webmasters, along with various automatic optimizations that has proven to produce results. The one thing that has made SEOPressor so highly appreciated is its very user-friendly feature of the SEO Score. This is a score generated by the plugin for the website depending on how well it is optimized for the search engines. Using various parameters, the plugin can accord an SEO score for the webpage. Intriguingly, it has been found that the SEO Score given to any WordPress blog perfectly corresponds with the ranking of the website on services such as Google Analytics. The success of SEOPressor is unprecedented. Speaking with the reporters of this website, he says, I expected SEOPressor to do well because I had developed it in response to Internet marketers requests through my Warrior Forum, but I didnt expect it to be received so well. Perhaps it is the feeling that a website needs to be good for the search engines if it has to succeed that has made SEOPressor work so well. Also, I found that SEOPressor works exactly as per my expectations and that has given me the courage to work for something bigger in future. SEOPressor is also being praised for its consumer-pleasing interface and for its search engine performance. There is a customer support of 24/7 for all global users of the plugin. This entry was posted in Which Open Source Blog and tagged Million, More, Pages, Plugin, Scores, SEOPressor, Supporting, Than, WordPress on June 30, 2012 by Administrator. IngBoo today launched Like for Feeds, the fastest way for web sites to connect feeds with Facebook Like and expand the fan base. The solution enables fully-automated, ongoing engagement between publishers and audience using Facebook Like, thus dramatically increasing site revisits and revenue. IngBoos social syndication solution is the first of its kind – a new and powerful tool for publishers who are looking for improved conversion from social networks and Facebook. Since its launch in August, IngBoos WordPress plugin has been downloaded close to 4,000 times with thousands of publishers now benefiting from increased reach and revisits from Facebook. The latest release builds on this momentum by expanding it outside of WordPress and adding analytics for the publishers. The new analytics provides powerful insights on Facebook Like adoption. In addition, the IngBoo solution increases the Facebook Fan base via in-stream promotion of the Facebook Fan page. Expanding Facebook Like for Feeds to publishers beyond WordPress is an important milestone for us, said Furkan Khan, co-founder and COO at IngBoo. Now more than two million existing Facebook Like partners can benefit from this dynamic engagement tool and expand their fan base. We have made it very simple. Web publishers are expanding their reach into the Facebook community via fan pages and integration of social plug-ins. IngBoos solution fully supports Facebook Open Graph social plug-in tools and provides a one-to-one content syndication from a website to a users Facebook News Feed. Learn more at http://www.ingboo.com. Headquartered in Sunnyvale, California, IngBoo brings new and powerful social marketing solutions to publishers. Thousands of web sites use IngBoos cloud-based social syndication services to connect with their audience via Facebook, Twitter, mobile and email. For more information, visit http://www.ingboo.com. This entry was posted in Which Open Source Blog and tagged Feeds, IngBoo, Like, Publishers, their on June 30, 2012 by Administrator. Is it going to be a static webpage, a multi-page portal, a blog and what content management system to use? Website builders need to decide what platform to take as a basis for future website. They probably decide on any popular php CMS which is an open source project such as Word Press, Joomla, Drupal or try to construct a website using programming skills from the scratch. This depends on an experience and on a project of the website owner or webmaster. But in either ways basic knowledge of SEO are required to give birth to the website in search engine environment. The number of the websites is growing tremendously day after day. One reason is a growing Internet society and another reason is a website building solutions available all over the Internet. It doesn’t matter whether you need content websites or money making websites, you always can find a solution for your venture because there already are tons of websites to make websites, web generators and web publishing tools out there. Autoblogging software, blog posting software or content websites publishing software are really smart these days. One may come across dozen of webpages looking for a needed content without even knowing that they are automatically generated. Of course search engine rules are still in action but they are as not effective as they were before as automatic websites software are constantly developing. Everybody knows Self Growing Websites system (http://www.sgwsoft.com) which was among the first solutions for automatic website update. Started with just WordPress blogs updates it now can automatically update static websites, websites built on Drupal and Joomla platforms and also make posts to Blogger blogs. This website builders solution is still extremely search engine optimized and absolutely automated. A new version of the program was recently released. It inherits a powerful module system and unique drop publishing technology from the previous versions and presents a new very flexible project creating and management mechanisms. The new version of SGW combines autoblogging, web publishing and content websites generating abilities with automatic website promotion and monetizing opportunities. So it doesn’t matter what kind of website you wish to build, what kind of platform to use, what marketing strategy to implement, SGW will always be there to give you a hand in website building and updating doing it on complete autopilot and in a human-like way. Once it was rather a headache to create and update a website but not today. Smart solutions can replace a team of webmasters and optimizers saving time, money and efforts still being an effective tool for website building. This entry was posted in Which Open Source Blog and tagged Autoblogging, Builders, Content, Software, Website, Websites on June 30, 2012 by Administrator. The underlying framework gives the theme an immeasurable weight of flexibility and agility, fast loading site using built in compression of files, data URIs and gzip minification and we’ve topped it up with a splash of beautiful colors ranging from bright to laid back colors. We have also setup a rich documentation where you can find documentation, watch video tutorials and find code snippets on how to customize the template to the max. Check it here. If you like this template, please spare a minute to rate it. QOOP, a leading social commerce community has its fourth set of weekly winners for its free 2011 Photo Contest for Calendars. The 2011 Photo Contest for Calendars offers photographers and artists the opportunity to design and submit new calendars for the weekly contest through the end of January, 2011. QOOP will showcase the submissions and top finalist on their QOOP Photo Contest Blog, then the editorial committee with choose a different winner and honorable mentions to receive free calendars for each week. 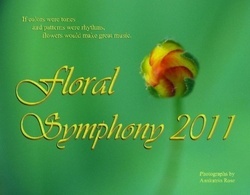 For the week ending Oct 17th, 2010, Annkatrin Rose wins the competition with her magnificent, Floral Symphony 2011 calendar. Honorable mentions go to: Alan Diaz for his, Alans Tractors 2011 calendar; Groovy Art by Groovyal calendar; Walter Szymanskis World of Bugs 2011 calendar. The winner will receive ten free copies of her calendar and the honorable mentions will each receive five free copies of their calendars. The winning calendars can be seen at http://qoopphotocontest.wordpress.com/ along with the other notable submissions and calendar purchasing can be done directly online through http://qoop.com. Mike Richardson, QOOPs Community Organizer, and creator of the new structure to the free 2011 Photo Contest for Calendars, said, Its not surprising that the winners this week are some of the many flickr users who have printed with QOOP for years. Rose, the winner this week said of QOOP, I found out about QOOP on Flickr when looking for a place to print calendars last year as Christmas presents for the family. They were a big hit, so when the calendar contest was announced I thought it would be fun to do it again and make a whole variety this time! Alan Diaz, an amateur digital photographer from Connecticut, who entered his Alans Tractors calendar said, I’ve been doing digital photography since the inception of digital cameras in the late 1990’s. I discovered QOOP back when it was an option on Flickr, where I post my photos. I’ve done a calendar every year as gifts. New entrants for the ongoing free contest can upload their images directly to QOOP or import from flickr, then create their calendars at QOOP.com. Photographers and artist will find a simple calendar creator interface at QOOP with editorial control over each page. After the creation process, simply save the listing to myQOOP and fill out the listing with titles, tags, description, and set your royalty. QOOP offers a simple online video to show photographers and artist how easy it is to create calendars and listings. QOOP is a free social commerce community for artists, authors, photographers, designers, stock image libraries, publishers, and document libraries. QOOPs site includes a community galleria and tools to set up and share online storefronts anywhere on the web. The amplified distribution of stores and listings allows the social network to act at the traffic engine to drive greater marketing awareness and sales to store listings on QOOP. On demand product sales include ebooks, stock image downloads, photo prints, framed prints, greeting cards, postcards, business cards, photo mugs, photo gifts, photo books, mini photo books, hardback books, paperback books, wire-o reports, and more. For more information visit http://www.qoop.com. QOOP offices are in Mill Valley, California. (c) copyright 2010 QOOP.com, QOOP and the Q and QOOP logos, and related trade dress are registered trademarks or trademarks of QOOP in the United States and other countries and may not be used without written permission. Other trademarks and company names may be trademarks or registered trademarks of their respective owners. This entry was posted in Which Open Source Blog and tagged Calendars, Contests, Dominate, First, Flickr, Month, Photo, QOOP, Users on June 30, 2012 by Administrator. Ramping partners quickly and effectively from new recruits to productive sellers has been an age-old vendor challenge. Amazon Consulting, a leading partnering services firm dedicated to helping companies elevate the impact of partnering, just published exclusive channel research entitled, ”From Rookie to Rockstar: Accelerating the Development of Channel Partnerships.” An executive brief of the studys findings can be accessed at Amazon Consultings website. ”With the collaboration of Arrow ECS, we interviewed 47 leading vendors and nearly 200 solution providers to better understand what it takes to efficiently develop a successful channel partnership,” said Amazon Consulting CEO Diane Krakora. This executive brief addresses how long it should realistically take a vendor to elevate a partner from new in their channel program to being a productive seller; what are the key steps along the way, where does the process stall, and what kind of support are solution providers looking for from their leading vendors to accelerate the process? According to the research, solution providers are willing to invest for up to 12 months in a new vendor line before realizing revenue. But, both vendors and their partners would like to be actively selling within 6 months. Issues such a rebounding economy, new technologies that cause shifts in new practice investments, and industry consolidation are impacting the time and cost of developing solid vendor/solution provider partnerships. Amazon Consultings recent study identifies key areas that can boost the time to market and ROI for vendors and solution providers. For example, vendors indicate that it only takes their partners 30 days to enroll and get activated in their program, and another 2-4 months to begin actively selling and marketing, after training. Solution providers consistently indicate that throughout these development steps, they rely on vendors staff in sales, technical, services and marketing to accelerate their ramp. They do value some other on-line systems and automation, but the value of people in building new channel relationships remains key. To learn more about the complete research findings from the ”Rookie to Rockstar: Accelerating the Development of Channel Partnerships,” click here. Full details of this analysis are available through a subscription to Amazon Consultings PartnerG2 market intelligence service. Amazon Consulting offers market research studies through a comprehensive annual market intelligence subscription program called PartnerG2. Fueling channel management professionals with valuable research, analysis, thought leadership tools and expert advice to guide partnering success, PartnerG2 offers unlimited users under a corporate subscription, quarterly studies based on industry hot topics, a complete library of thought leadership materials and 4-hours of complementary consulting services. Channel industry analyst and speaker Beth Vanni is the Director of Market Intelligence for Amazon Consultings Partner G2 program and can be followed at http://amazonconsultingblog.wordpress.com/ or http://twitter.com/bvanni . This entry was posted in Which Open Source Blog and tagged Accelerating, Amazon, Channel, Consulting, Development, Exclusive, from, Partnerships, Research, Rockstar, Rookie, Unveils on June 30, 2012 by Administrator.